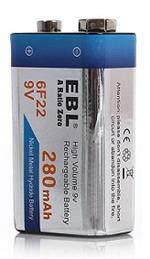 The WY-29V is a plug-in-wall Dual=Pocket Charger for 9-volt rechargeable NiCd & NiMH batteries. Plugs into 110-120VAC wall outlet. Charges one or two 9-Volt batteries overnight. 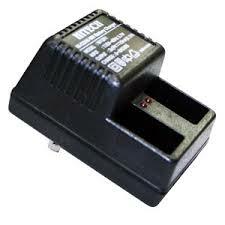 WY-49V: Charger for 9-volt batteries. Fast charger for 2 or 4 pcs of Ni-Cd or Ni-MH 9-volt rechargeables. Includes Wall power supply (110-120VAC in). Has built-in selectable Discharge function, and LED status lights.